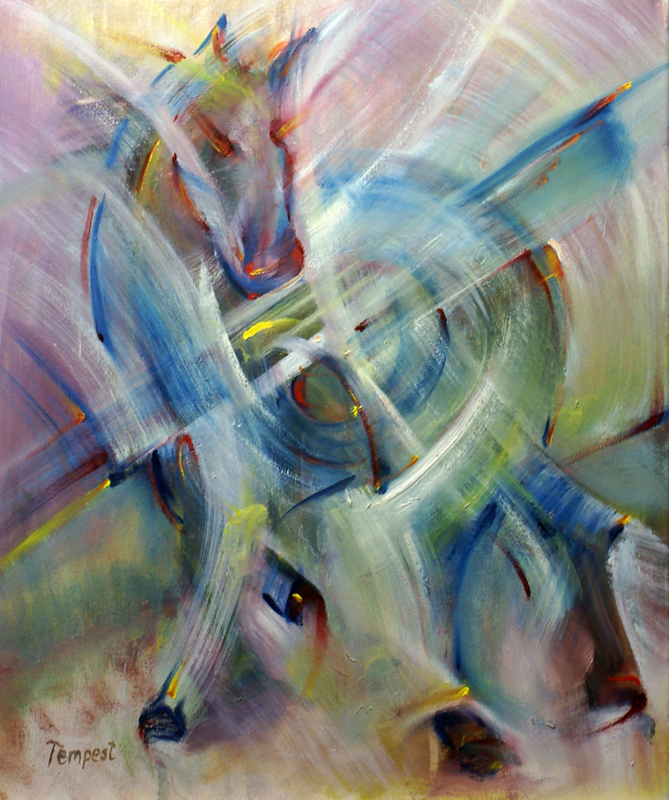 With just a few magical strokes of his paint brush, Husidio John Tempest can create shapes, light, movement, as well as both known and unknown colors around his abstract horses, making them appear to fly right off the canvas! 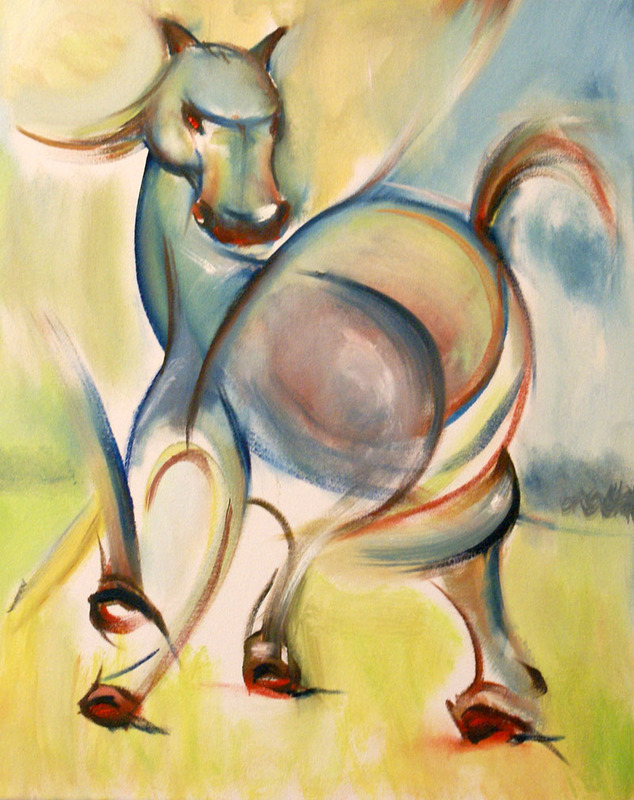 I promise that if you just let go, the horse will take you on a surreal trip — and what a trip that will be! Your imagination will truly fly to wherever the horse wants to take you! 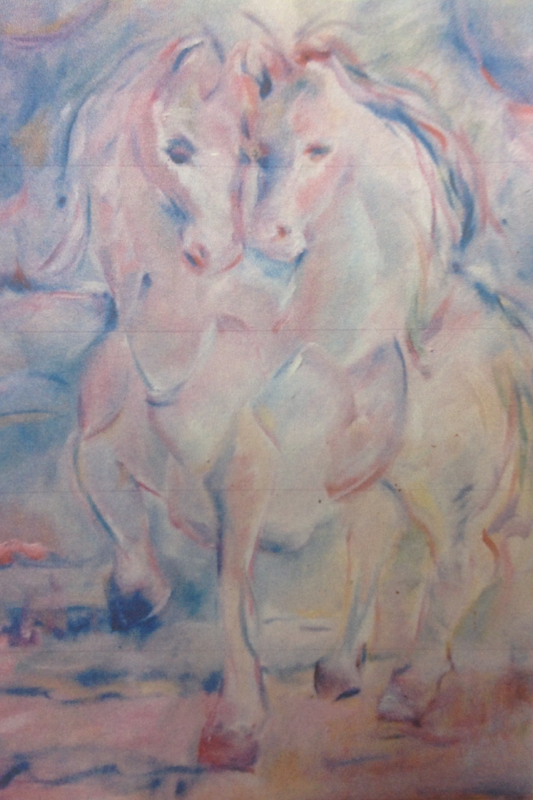 The last time I looked at the painting of one of his horses, it was in the very early hours of morning. 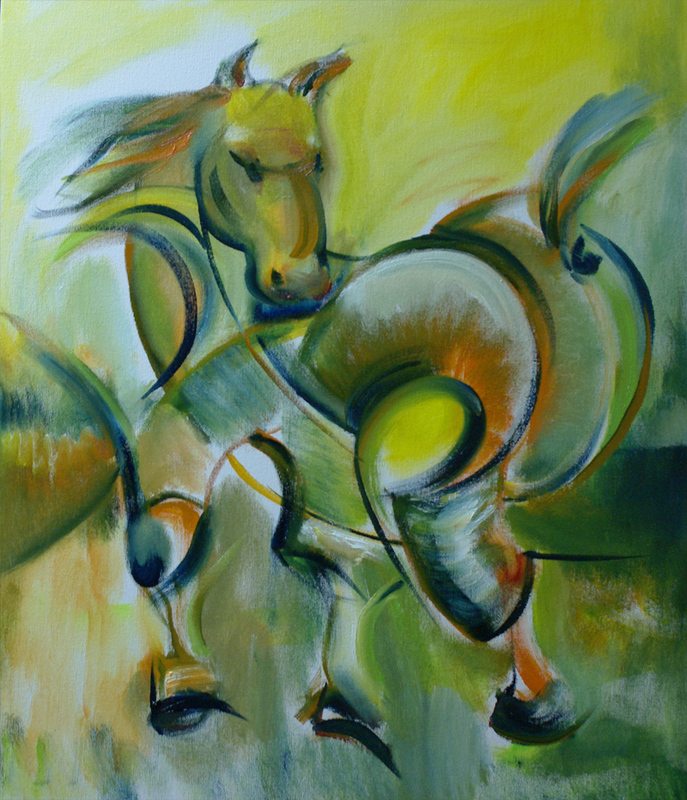 The light from a nearby lamp and the TV sparked the strokes of John’s brush on the canvas... and the horse took off with me! We went high up above the puffy white Cumulus clouds in the deep blue North Carolina sky. I saw the great expanse of the universe, and then somehow traveled to a lovely rose garden — perhaps in the English countryside. I felt the petals of the roses brush against my bare feet. Suddenly, it was all over, and there I stood looking at the brilliant horse. For those of you that may wonder if there was anything other than cream and sugar in my very early morning coffee, I promise there was not! I blame it all on Husidio John Tempest’s creativity; in his awesome ability to create colors, movement, and light!